Are you visiting Goa and wondering where to spend your vacation? Ocean Palms Goa Resort in Calangute brings to you all that you need when in a vacation. The location of the hotel is very near to the beach and you can just take a walk. It is a nice place with friendly staffs and the food served is really good and hygienic. The peanut snack is a must try during your stay. The hotel has a swimming pool attached to it and it is opened at any time of the day for residents. The hotel is really clean and amenities like laundry service and wi-fi is available. To personalise your visit to the city, you can use an all-inclusive Calangute trip planner for the same that will give detailed information about visiting the city. 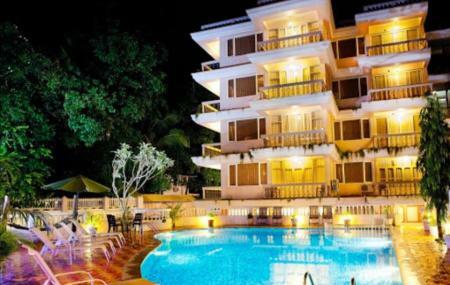 Fine Accommodation options like Treebo Jesant Valley Holiday Homes, Hotel Seagull and Cygnett Inn Celestiial will meet your requirement of where to stay in Calangute. Generate executable plans on your own or book the top rated Calangute vacation packages for your visit. Read more on how to reach Calangute. Good value for money. Clean with lovely staff. We did B&B which was fine as lots of places to eat at night nearby. Breakfast was great, mixer of traditional Indian and English. Free WiFi and TV in rooms. Stayed here in march 2018 with family. Loved their hospitality and service. Swimmimg pool was always clean. Gym equipments were in working condition. Spa is also good with reasonable rates. Only problem is the high price of food. 1 cup of tea in the room will cost u around 150. Apart from breakfast we mostly ate out. Highly recommended! Calm environment n easy staff, they are polite n caring.. Wish too visit again.. N its damn near to famous kalangut beach too.. Win win!